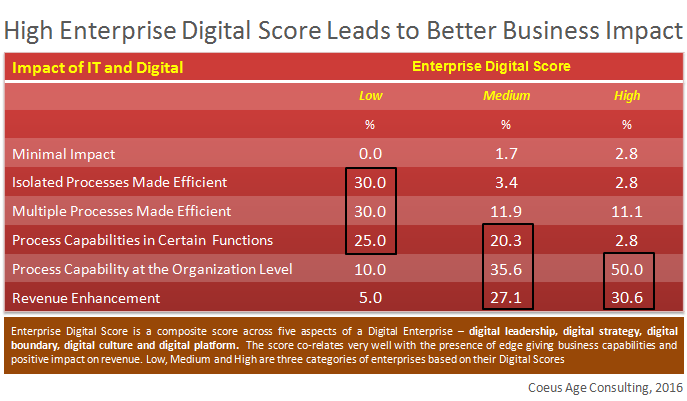 What is Your Enterprise’s Digital Score? A new form of enterprise, capable of coping with the uncertainties and dynamism of the external world, is emerging. Driven by the triple play of three pillars – new leadership orientation, people empowerment and digital technologies, the new enterprise is continually building unique capabilities and putting them at the centre of its existence. In an endeavor to decipher the contours of the new enterprise, we at Coeus Age Consulting focused on the digital technologies. We started with a hypothesis that the new enterprise has to evolve itself on a digital platform, in tandem with the other two pillars. 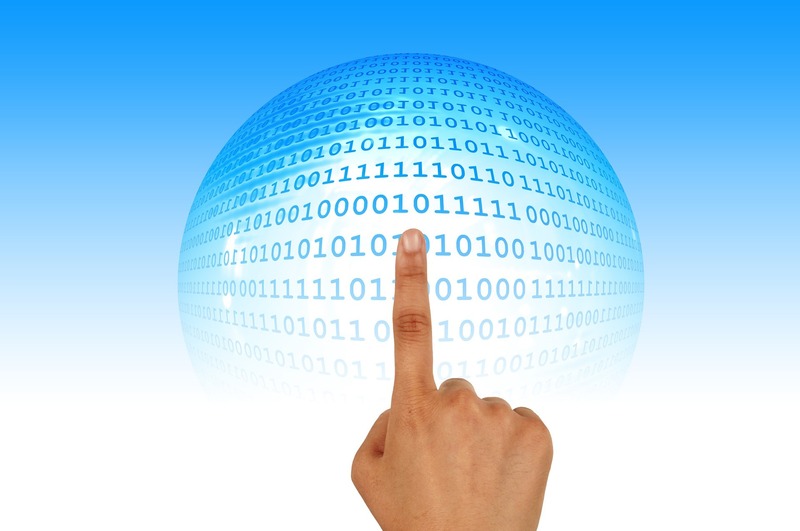 The concept of a Digital Enterprise was synthesized as made up of seven aspects – response to the external digital reality, digital led capabilities to cope with the external digital reality, digital leadership, digital strategy, digital boundaries of interface, digital culture and digital infrastructure. The seven aspects were put in the form of a framework where response to external digital reality requires digital led capabilities, which in turn emanate from the other five aspects of leadership, strategy, boundary, culture and infrastructure. A composite Enterprise Digital Score of the five internal elements was created. A survey of 116 enterprises helped us unravel the relationship between Enterprise Digital Score and creation of Business Capabilities required for Business Impact. The table below clearly highlights the fact that higher the enterprise digital score, higher the impact in terms of capability creation and business revenue. The enterprises with medium and high digital score were able to build process capabilities at the functional and organizational levels and claim revenue enhancement. This is quite an interesting revelation and simple one to understand. Invest on aspects making the enterprise digital score and chances are high that positive impact on business capability and performance shall be created. We can help you measure your enterprise’s digital score and understand how it can be further enhanced. In other words, how can you leverage digital to create a higher growth readiness and business value. Now you can use our instrument to measure your Enterprise’s Digital Score. For details and to get a customized presentation on our research findings write to us at kds@coeusage.com. Also Read 3 Questions related to building a Digital Enterprise!